1. Heat olive oil in large pan on medium high heat. 2. Add broccoli and reduce heat to medium. 3. Liberally season with salt and savory pepper blend. 4. 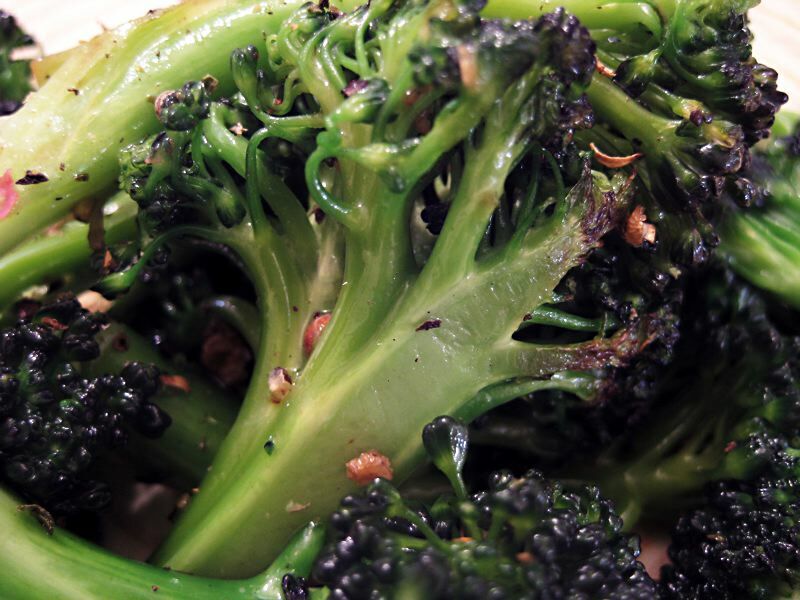 Sauté for 5-7 minutes or until broccoli is crisp tender, stirring occasionally. Do not cover pan while cooking or broccoli will get mushy. Add 1/2 a sliced onion if you like. There should be enough pepper medley to make the dish look dirty – don’t be shy – use lots. I haven’t used too much yet.